4 editions of Maeterlinck's symbolism found in the catalog. Add another edition? 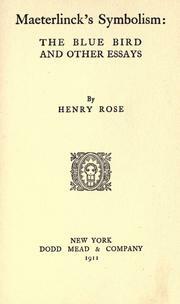 the blue bird, and other essays. 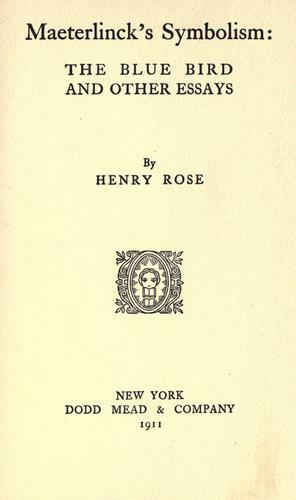 Published 1911 by Dodd, Mead & Company in New York . Maeterlinck's symbolism: "The blue bird." "Pippa passes": the optimism of Robert Browning. The musical mind: a study in social harmonies.